The first poster for Disney's live-action Aladdin remake, in just three words? Shining, shimmering, splendid. Will Smith, who plays Genie in the upcoming film, debuted the one-sheet on his Instagram page on Wednesday. Clearly thrilled about being part of the new take on the classic Disney tale, Smith captioned the poster, "LEMME OUT!! Can't wait for y'all to see Me BLUE! #aladdin." The actor tossed in a little blue genie emoji in the text as well. Displayed at the bottom of this article, the poster is fairly simplistic in terms of what's featured — there's just a gold oil lamp that sits atop a rock — but it dazzles thanks to the jewel-toned purple background, the wisp of smoke that swirls out of the lamp's spout, and the white and fuchsia sparkles that are sprinkled around the base of the lamp. As almost everyone knows, Genie has been trapped inside the lamp for thousands of years, but once the street-rat-turned-phony-prince Aladdin rubs its side, Genie is finally free. While out in the land of the living, Genie helps Aladdin capture the attention (and later the heart) of Jasmine, the princess of Agrabah whose father, the Sultan, desperately wants to find her someone to marry. 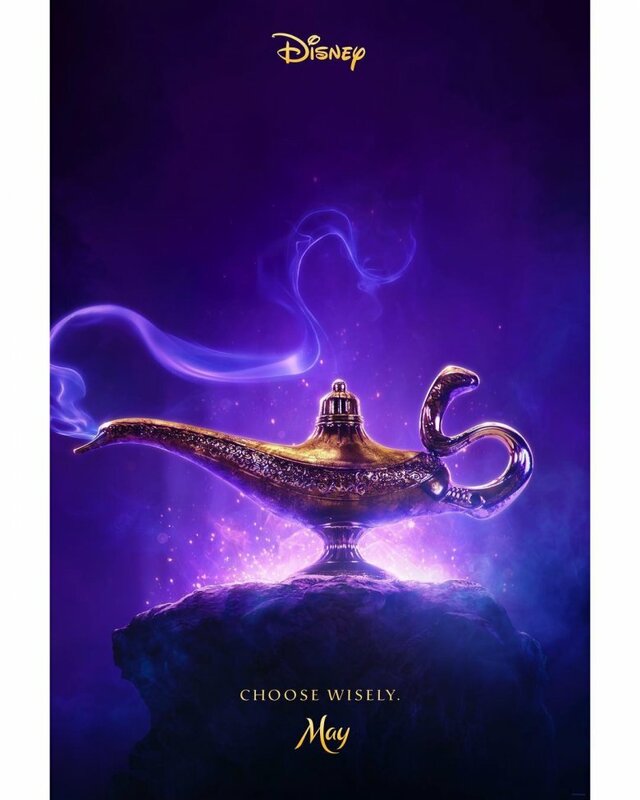 But, as the poster warns, Aladdin can't get carried away in attempting to win over Jasmine; he must "choose wisely" when making his three wishes with Genie. For the live-action Aladdin, Smith steps into the role Robin Williams originated in the 1992 animated film. Of course, Disney hasn't unveiled any footage from the film and no one apart from those involved with the movie have seen the stars in costume, so we can't say how Smith stacks up to the late, great Williams. But considering that the former Fresh Prince has some serious comedic chops, he'll likely have little trouble filling those massive Genie shoes. 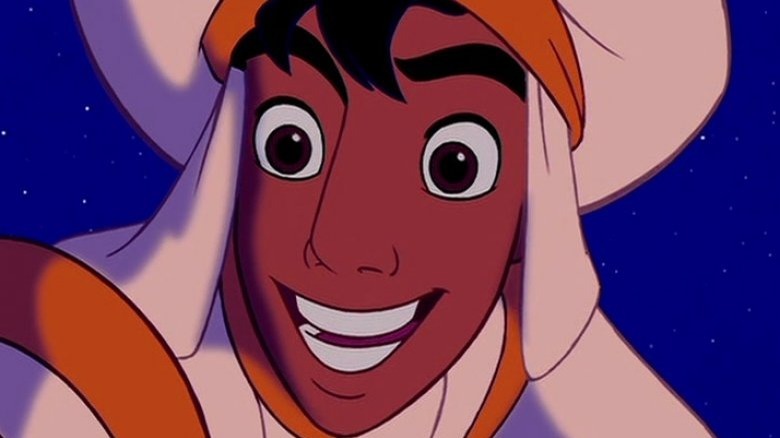 Directed by Guy Ritchie, the live-action Aladdin also stars Mena Massoud as Aladdin, Naomi Scott as Princess Jasmine, Navid Negahban as The Sultan, and Marwan Kenzari as Jafar. Travel to a whole new world when Aladdin opens in theaters on May 24, 2019.